Rev. 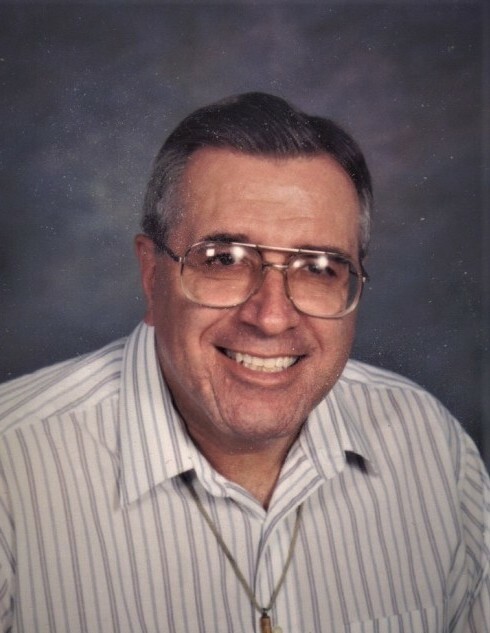 Henry Edward Mooney, age 76, of Jewett, went home to his Lord and Savior Tuesday, March 26, 2019 surrounded by his loving family at Community Hospice Truman House, New Philadelphia. Born November 13, 1942 in Wheeling he was a son of the late James T. Mooney and Olive E. Dawkins Mooney. Henry graduated from Jewett High School in 1960 and honorably served his country in the US Air Force from 1963-1967 as a radar technician. When he returned home he started working for General Telephone Company where he worked his way up to district supervisor. He furthered his education at Ohio University in Athens, receiving a Bachelors of Elementary Education with High Honors in 1973 and worked for a few years teaching math at Barnesville Schools. But the Lord had bigger plans for Henry and he went back to school at The Methodist Theological School of Ohio in Delaware where he received his Masters of Theology. He spread the word of the gospel all over Ohio and West Virginia, starting as an Associate Pastor from 1967-74 at The Greater Asbury Parrish, next he served at Ostrander UMC until 1977 when he became Pastor of both the Pleasant Grove and Barton UMC until 1993 when he moved to Roxford UMC where he retired in 2005. Rev. Mooney was a revivalist minister and never missed the chance to share his love for the Lord. During the majority of his career he also had a radio ministry starting on WOMP, he then moved to WBTC in Uhrichsville and most recently with WVLY in Wheeling. Along with his radio ministry he also designed and produced several gospel series for WTRF television. In 1986 he was awarded the Denman Evangelist Award from the UMC East Ohio Conference, having been chosen out of all of the 1400 churches in the conference. He was the St. Clairsville District Camp Meeting Chairperson and Secretary of Discipleship. He also enjoyed playing golf and hunting. Rev. Mooney married Mary Lou Falls Mooney on July 8, 1972 and in 1975 they were blessed with their only son Matthew Edward Mooney. Both survive along with his mother-in-law Kathleen Falls and several nieces and nephews. He was preceded in death by all of his siblings, James T. Mooney, Walter Wayne Mooney, Marion Lee Mooney Wendland, Martha JoAnne Mooney Shirk and an infant sister Margaret May Mooney.